IBM Cloud. Your partner for cloud solutions. Intelligent Enterprise Transformation: SAP in the Cloud. In this three-hour seminar, gain key insights from an analyst, clients and IBM Cloud key technology partners on S/4HANA and application modernization. Your business success requires cutting-edge technologies; driving demand for your solutions and help to make money. Partnering with IBM provides unique support in these three areas. Learn more about each area and from our partners' success stories. Beyond technical capabilities, including operational and regulatory compliance. Receive customized training for IBM Cloud. Certify your skills. Accelerate your career. Build cloud competencies with IBM Cloud technical certifications. Use IBM Cloud service credits to accelerate your solution development. Your PartnerWorld status determines the amount of service credits, ranging from USD1,200/ year to USD6,000/year. Build your cloud competencies with the IBM Business Partner Solution Hubs – onsite and remote training and assistance all part of a network of technology hubs. IBM PartnerWorld offers virtual learning roadmaps, self-paced hosted hands-on labs, and instructor-led online or classroom training. Expand your markets. Market and sell your solution with IBM. 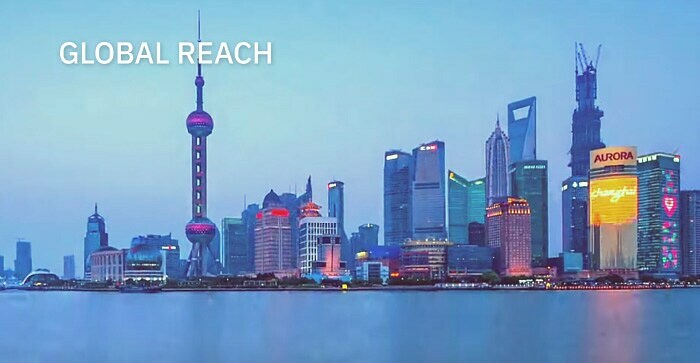 Leverage IBM’s global footprint for local and global reach. IBM’s 40 global Cloud centers can get your solution into your target regions with optimal performance. And, we connect you with local IBM resources to help you market and sell at the local level. Cloud customers demand solutions specific to their industries. Learn about IBM Cloud industry-specific solutions, how you can align with them and incorporate into your specific routes to market. Extend your brand as your market your solutions by leveraging the IBM Business Partner Mark. Apply for an IBM Embedded Solutions Agreement (ESA) to earn service credits, receive volume discounts and more. Find opportunities to involve third parties in focused innovation and design activities. Raise awareness for your services on IBM Cloud. IBM Cloud catalog providers receive help with social campaigns, blogs, newsletters and e-nurture, as well as technical articles on IBM developerWorks. IBM Cloud catalog providers reach new audiences showcasing your service with webcasts; share the stage on Meetups; joint participation in conferences; video interviews on developerWorks TV. Get exposure to IBM Cloud sales and advocates teams. Present your service to these sales influencers. Contact your local IBM channel sales representative for details. Use IBM Cloud service credits to accelerate your solution development. Utilize the Embedded Solutions Agreement (ESA) and earn credits. Inversoft extends reach into the enterprise world. Mendix enables building of enterprise-level apps, no coding required. PubNub helps the developer community. ClearDB spins up MySQL databases quickly. Start experimenting with the IBM Cloud.